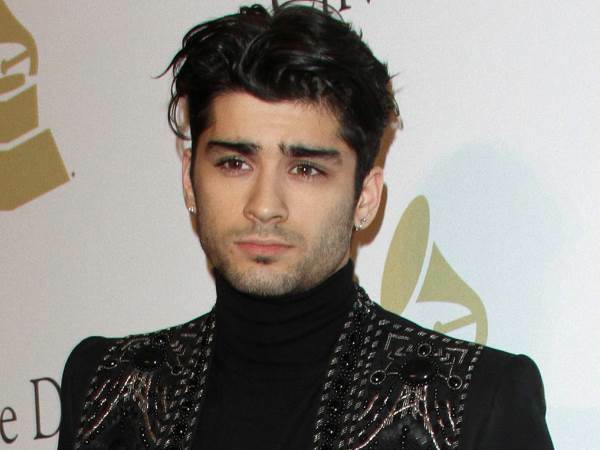 Pop star Zayn Malik has finally overcome the severe anxiety issues which had plagued his career and contributed to his exit from One Direction. The British singer, who quit the boyband in 2015, first went public with his personal struggles last June after pulling out of a big London gig - his first solo show in the U.K. - at the last minute, revealing he was dealing with "the worst anxiety of my career". He axed another solo concert set to take place in Dubai, in the United Arab Emirates, in October as he continued to battle the health problem, but by December, he had discovered writing, whether in the form of a song or in a diary, had been working wonders for him. Now, in a new interview with The Sunday Times Style magazine, Zayn claims he has been cured. "I now have no problem with anxiety," he said. "It was something I was dealing with in the band." He also further discussed his battle with an eating disorder, which he had also struggled with while he was a member of One Direction. Zayn believes previously speaking out about his troubled relation with food helped to break down the stigma surrounding eating disorders, because it came from an unexpected victim. "People saw strength in that, and they didn't seem to expect it from a guy, but they expect it from a female, which to me is crazy," the Pillowtalk singer explained. "We're all human. People are often afraid to admit difficulties, but I don't believe that there should be a struggle with anything that's the truth." However, the 24-year-old admits it was more of a "control thing" during his "regimented and controlled" time in the band as opposed to an actual illness. He continued, "It was the one area where I could say, 'No, I'm not eating that.' Once I got over the control, the eating just came back into place, super naturally..."
And Zayn credits his mother's home cooking with helping him get back on track health-wise: "I came back to the U.K. and spent some time with my mum and got some TLC (tender loving care)," he said, "and she cooked me food and I got back in touch, mentally, with a lot of the things I'd lost."